We do not often have trains running on the raised track but on Steam Day we had 3. This is Gary's Ruby. 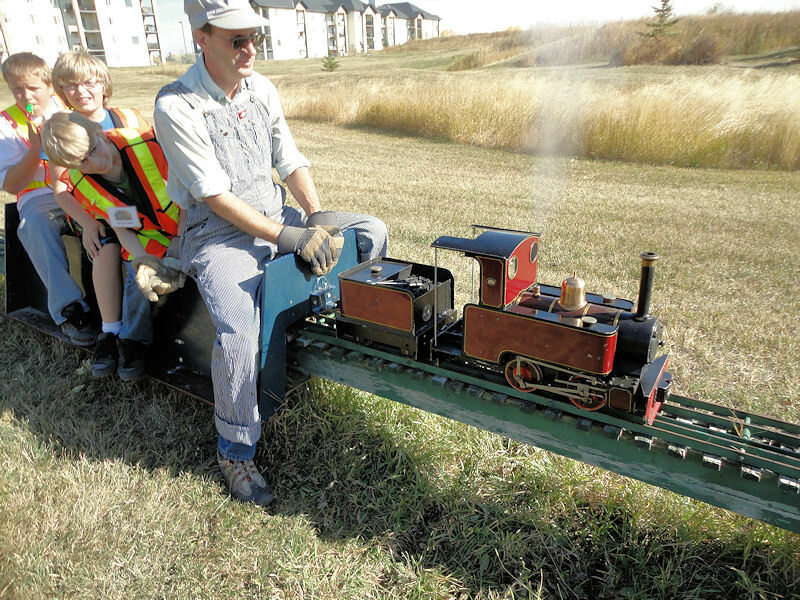 All content, images, logos and drawings and text from these pages are Copyright © 2002 - 2012 Alberta Model Engineering Society.